This article was inspired by Emotional Frequency: Why Are Many Old Souls Empaths? Ever wonder why so many old souls tend to be empaths? Well, continue reading to learn about the connection between empaths and old souls. Empaths are people like you and me. The reason why this particular group of people has been categorized is because of their unusually impressive ability to sense external thoughts and emotion. I am sure you have heard of the social issues experienced by empaths. For example, they find crowed places to be quite overwhelming; the continuous external emotional stimuli lead to the confusion of their own emotions with those of others around them. The chances for you to encounter an empath are quite low, because they account for around five percent of the total human population. But interestingly, a lot of old souls tend to exhibit the same qualities that empaths do and there seems to be a link between old souls and empaths. In this article, I will try to analyze the relation between empaths and old souls and see what I can find. But before venturing any further, let’s take a brief look at what history tells us about empaths. 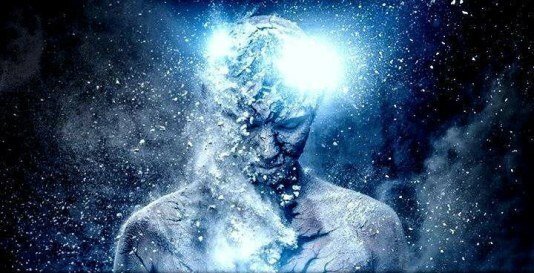 Empaths were the few who were able to differentiate between various forms of energy, whether it was a completely similar frequency or opposing energy. This understanding would allow them to harmonize the energetic encounter of living forces. All of us can experience empathy to some extent. Empaths, however, differ because they experience on such an intense level that they have difficulty distinguishing between their own emotions and those that they absorb from their surroundings. Highly sensitive people, on the other hand, are a bit different in the sense that they possess hyper physical sensitivity since birth. Meaning, the neurochemistry of their brain allows them to be overly receptive to emotional stimuli. Their sensitivity allows them to experience the emotional changes within people, as they occur. But it is important to understand that not all highly sensitive people exhibit the qualities of an empath. When it comes to old souls, there is a difference. Their sensitivity is slightly different in the sense that there is no physical relation to their sensitivity, but it’s rather their spiritual capacity. This doesn’t necessarily means that all old souls can be considered empaths; they are capable of experiencing the living energies around them because they are spiritually attuned. The inherent spiritual attunement possessed by old souls is further enhancing their energy by being reborn many times and appropriating many lessons. The more a soul’s energy experiences consciousness and then returns to its origin, the blurrier the lines between “I” and “that” becomes – it’s a purer perspective of the world, as a whole. Through this process of soul aging, the consciousness becomes less defined, leaving our intuitive receptors to be left open to freely experience our own emotions and, in the process, the emotional vibrations of those around them. We tend to believe that with age comes wisdom. Similarly, as a soul matures, it is less concerned with superficial aspects governing our mortal realms and this erosion of self, ego and all other inherent impediments, lead towards receptivity. Hence, old souls are much more likely to be empaths due to their willingness to experience more than what they are. Always remember that being an empath is more valuable than anything you could possibly hope to achieve. If you are experiencing trouble adjusting to society, you simply need to learn to center yourself and become more aware of your ability. Your awareness will allow you to filter the continuous stimuli and prevent yourself from shouldering the vast and endless suffering that exists all around us.